The Lavans Stadion, more commonly known as Stadion De Braak, got built in 1967. 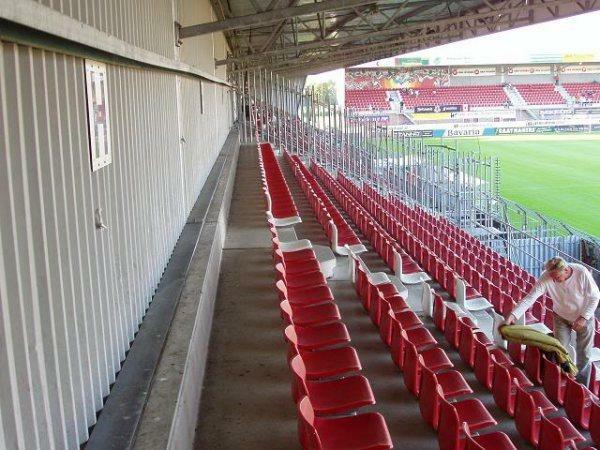 The stadium underwent several redevelopments between 1994 and 2000 when three new seating stands were built. 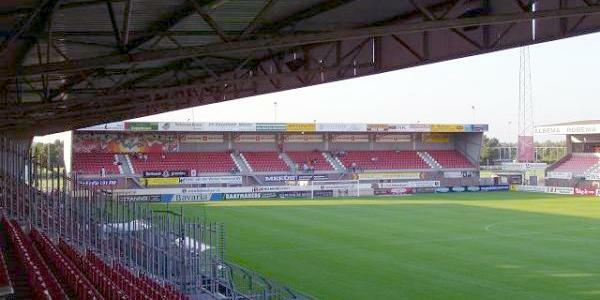 The Lavans Stadion only consists of three stands. One of the short ends is left open with just the scoreboard. 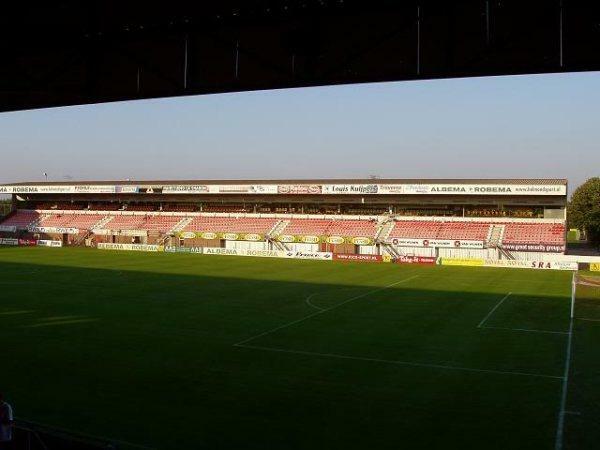 The Lavans Stadion is located about 2 kilometres north-east of Helmond’s small city centre, and a similar distance from Helmond’s main train station (which lies just south of the city centre). The walk from both places will take less than half an hour. Bus 23 and 54 connect the stadium with the train station. Take bus 23 in the direction of Milheeze and get off at stop Bijsterveld. It is a 5-minute walk from there. Otherwise, take bus 54 in the direction of Straakven. Get off at stop Bakelsedijk, which is even closer to the stadium. The ride takes about 10 minutes. If arriving by car from either the north or west (A2 and A50) via Eindhoven, follow the signs for Helmond. Once on the N270 toward the city, follow for about 11 kilometres, until, after having passed the city centre, the crossing with the Burgermeester van Houtlaan. Turn left, follow the road, and after a curve to the right, turn left at the traffic lights. The stadium lies at the right side of the road, surrounded by other sports fields. Any parking spot in the area will do. 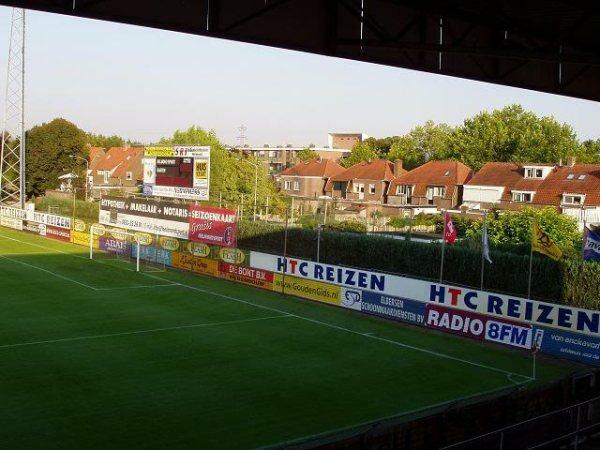 Tickets for Helmond games can be bought at the club office at the stadium, or at one of the Ticketbox sales points, of which the Primera Kroon at the Ameidestraat 14 in Helmond’s city centre is the most centrally located. Tickets are also available at the gates of the stadium on the day of the match. 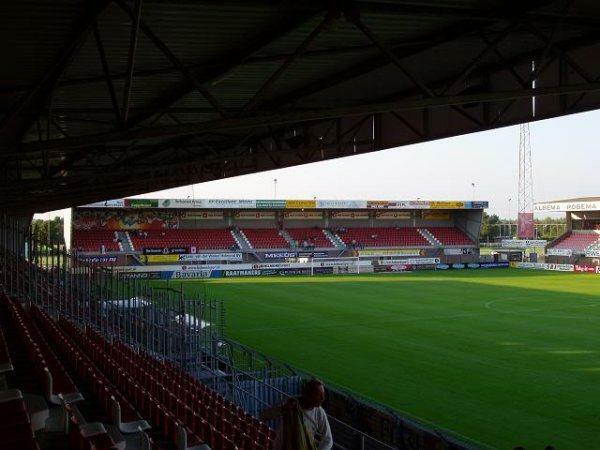 Helmond Sport only sells out the occasional high-profile match. Tickets range in price from €10.00 to €15.50. For more information email info@helmondsport.nl or call +31 (0) 492 524721. Helmondsport.nl – Official website of Helmond Sport. Vvvhelmond.nl – Helmond tourist information.